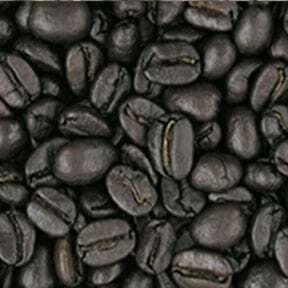 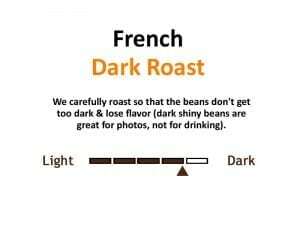 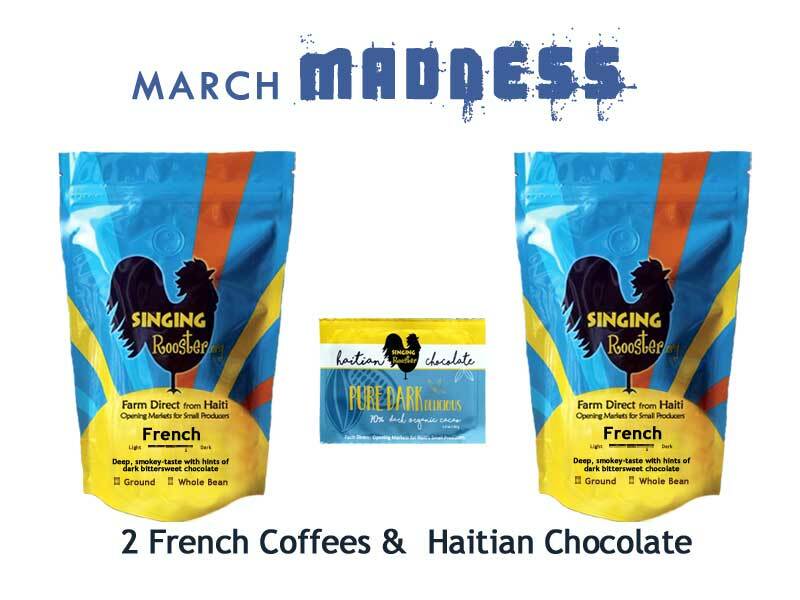 2 x 12 ounce bags of luscious French (dark) roasted coffee. 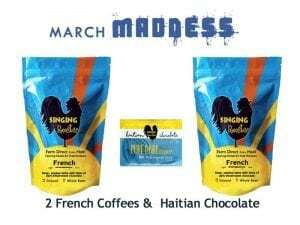 Plus, a 70% dark Haitian chocolate bar. 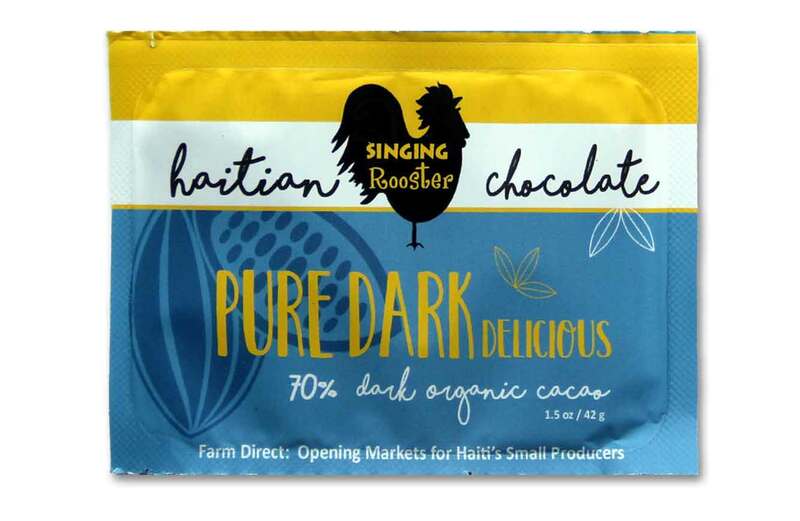 Singing Rooster returns 100% of proceeds to help small producers in Haiti build better businesses; Each purchase plants a tree in Haiti. 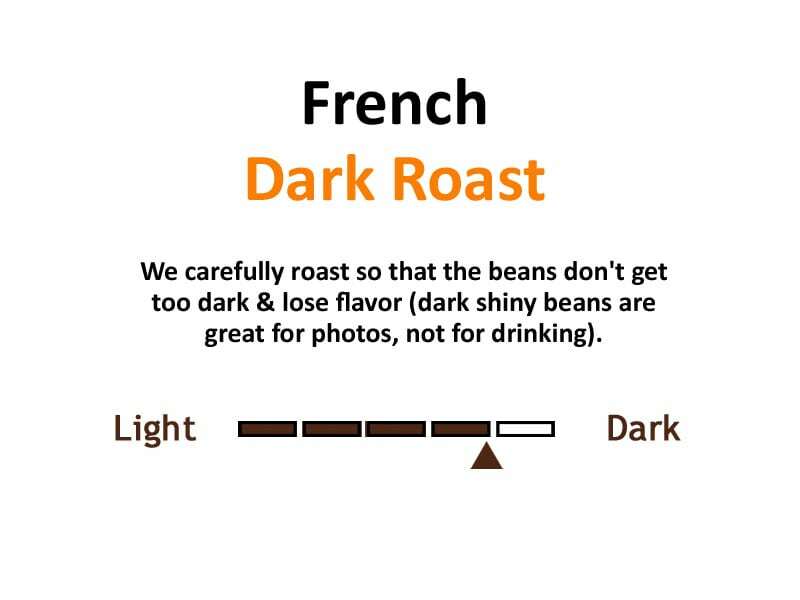 Tell your favorite person about our work.